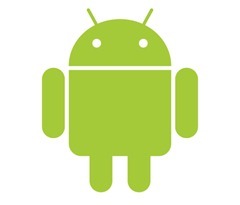 It has been a long time coming, but finally we have some details of what we may expect with Android 3.0 Gingerbread. According to Phandroid, a source close to Google has confirmed that Gingerbread will have a graphical overhaul, built-in-video and more. So far, the biggest change seems to be the support of SIP support in Google Voice. This means that users can now receive calls to their Google Voice number. Another interesting feature is the support of GTalk Video chat. It also seems like Google is giving Gingerbread a graphical overhaul. New icons are expected and the color of the notification bar is expected to be dark-greyish - like that in Samsung’s TouchWiz UI. The “bouncy” effect, that we see in the iPhone and TouchWiz UI, is also expected to be incorporated in Gingerbread. All in all, Gingerbread is expected to be a real eye candy while still being smoother than Froyo. An updated YouTube app through which you can control YouTube in the LeanBack mode is also expected. That Gingerbread may use hardware acceleration is also being suggested – though not confirmed. Ultimately, all these details are mere speculations as of now until Google officially release the details. Google is expected to announce the details of Gingerbread early next year.